The moai of Easter Island (a territory of Chile also known as Isla de Pascua or Rapa Nui) are some of the most enigmatic statues in the world. These enormous monolithic figures were sculpted over five centuries ago by the Rapa Nui people. There have been many hypotheses regarding their creation and symbolism, lending an air of mystery to this Polynesian island. The current predominant theory is that the moai represented the faces of sacred ancestors and were placed in such a way as to watch over the islanders. 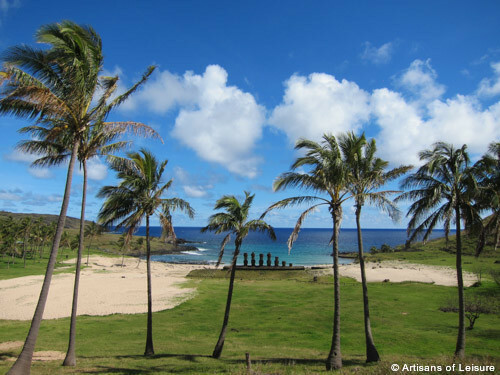 Moai were carved in the Rano Raraku quarry, then transported to be placed on various ahu (stone platforms) around the island. 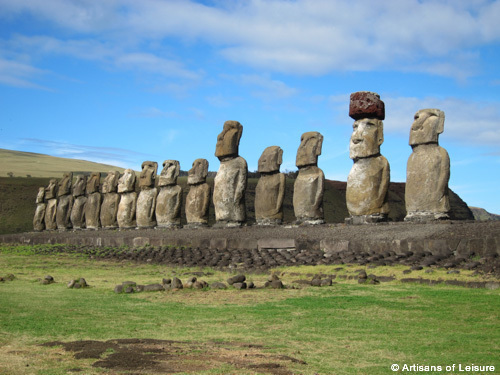 Artisans of Leisure’s Easter Island tours combine cultural highlights in mainland Chile, Argentina and Peru with a stay at a luxury lodge on Easter Island. Contact an Artisans of Leisure Chile specialist to start planning.